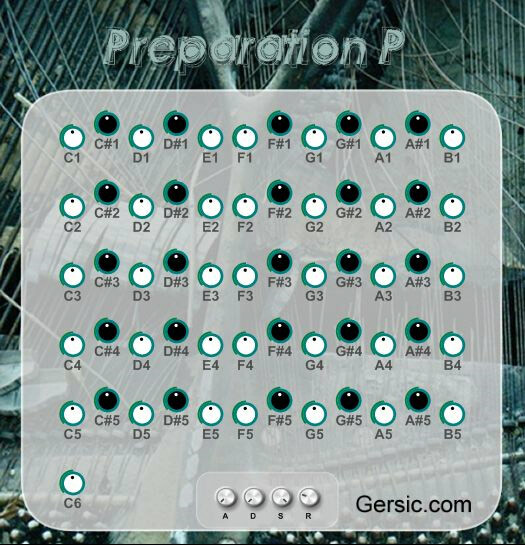 Preparation P is a VSTi collection of 61 high quality prepared piano samples. All of these samples were recorded by Tom Gersic on a baby-grand piano, and include a variety of strummed strings, plucked strings, and many other sounds of various objects lodged in the strings. Each sample can be tuned individually, and you can also adjust the attack, decay, sustain, and release characteristics of the sound by using the envelope controls.